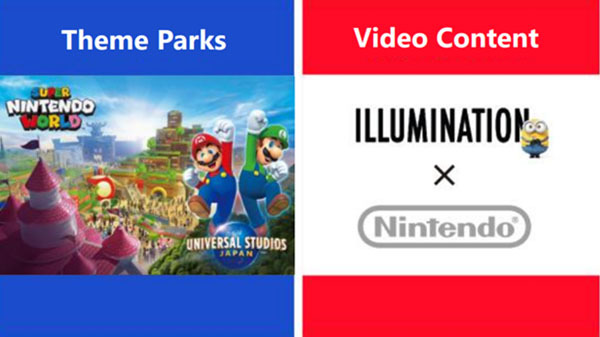 "Super Nintendo World" at Universal Studios Japan to open by 2020. “The development of animated film based on Super Mario Bros. with Illumination is moving along for an anticipated theatrical release around 2022,” Furukawa said during Nintendo’s nine months financial results briefing for fiscal year ending March 2019. Additionally, construction on the “Super Nintendo World” area at Universal Studios Japan is planned to open in time for the 2020 Tokyo Olympics.